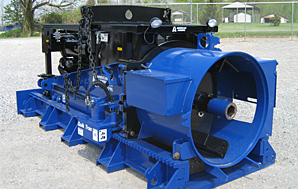 Cross Country maintains an inventory of American Auger boring machines in 36" and 42" sizes. 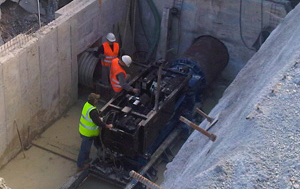 These machines are capable of handling jobs from 12" to 42" with the proper fittings and configurations. Call our at 303-361-6797 for pricing, availability, and options. Emergency shutdown switch at the operator's station as well as a operator presence tethered switch.